Located in the heart of Manhattan at Columbus Circle (59th Street and Broadway), Time Warner Center is a twin-tower building with two 750 ft (229 m) twin towers. Construction began in November 2000 and was finished on February 27, 2003. 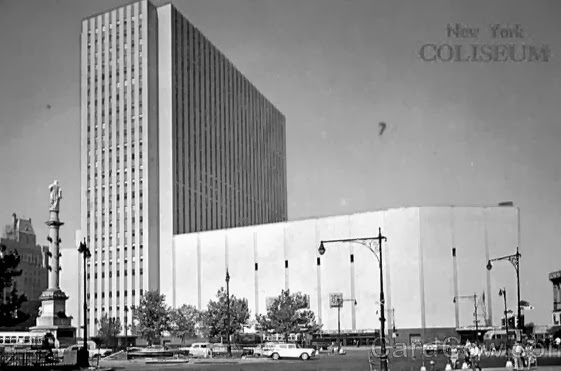 Before Time Warner Center there was a 323,000-square-foot New York Coliseum, built from 1954 to 1956, with four exhibition floors, including a -story well for exhibiting such large items as sailboats and airplanes. In 1959, Coliseum served as the American end of a American-Russian exhibition arrangement. 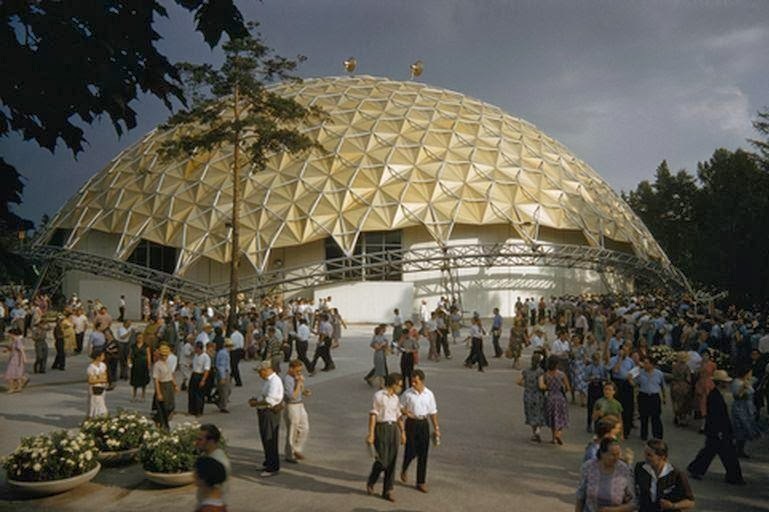 The Russian end of the Exhibition was held in Sokol'niki Park, Moscow in the summer of 1959. American engineers constructed a futuristic-looking pavilion in a leafy park. More than 2 million people visited the park and stood in line for hours to get into a model single-family house. The "Typical American House", built at the American National Exhibition, replicated a home previously built at 398 Townline Road in Commack, Long Island. 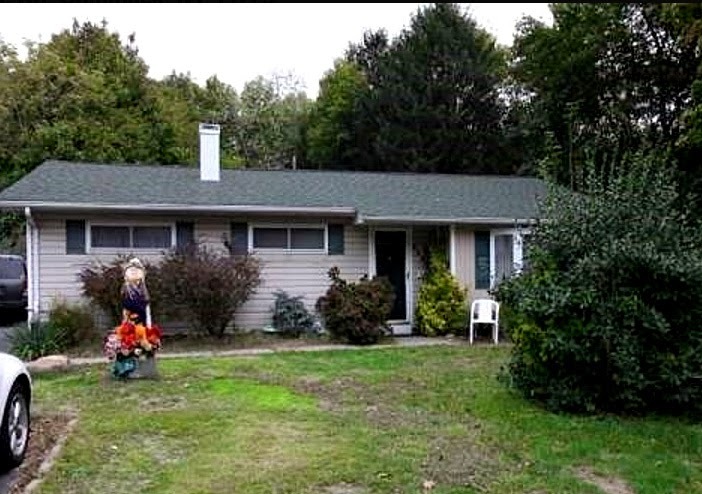 It is 3 bed, 1 full, 1 partial bath single-family home with the price tag $295.000 as of March 2014. The house floor plan was modified to accommodate a large numbers of visitors to tour it and the house got the name "Splitnik". The price for this house was $14,000 in 1959. The Russian News Agency TASS wrote in 1959: "There is no more truth in showing this as the typical home of the American worker than, say, in showing the Taj Mahal as the typical home of a Bombay textile worker." 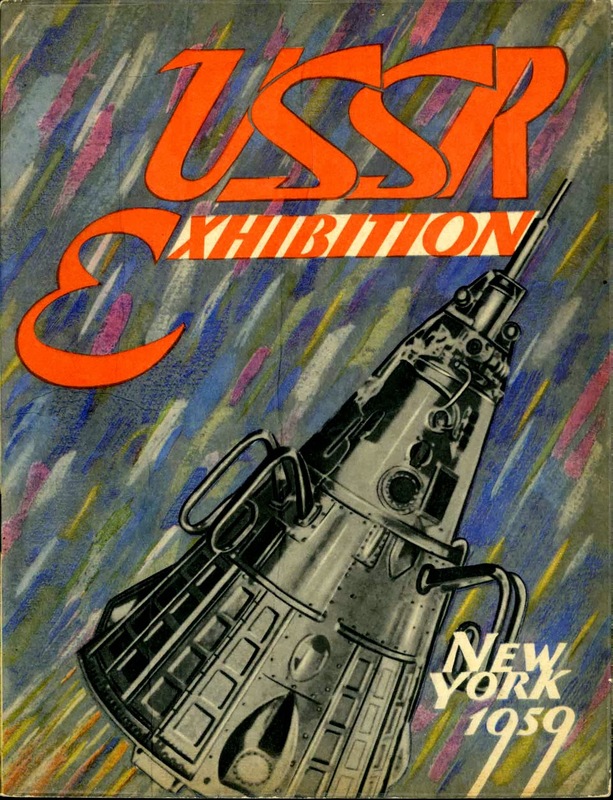 The focal point of the Russian exhibition in New York Coliseum was Sputnik, the Soviet satellite that had gone into orbit around the earth in 1957. 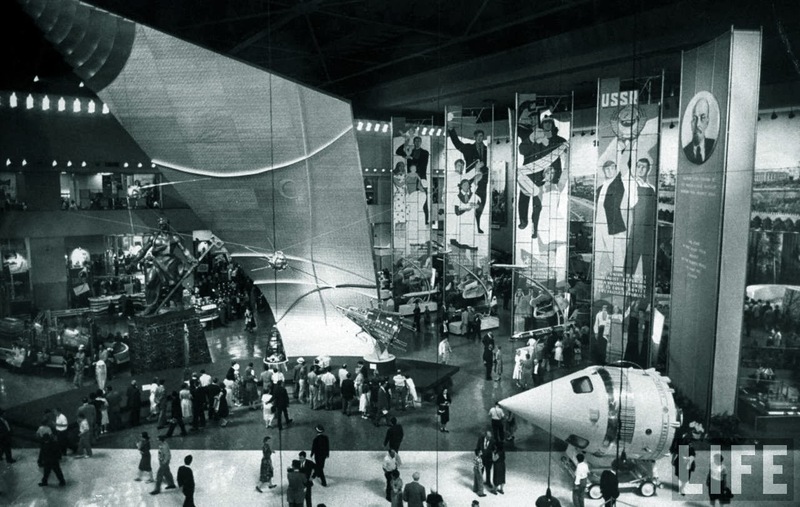 There were also exhibits on Soviet industry and agriculture, as well as musical and theatrical performances. New York Coliseum was demolished in 2000. 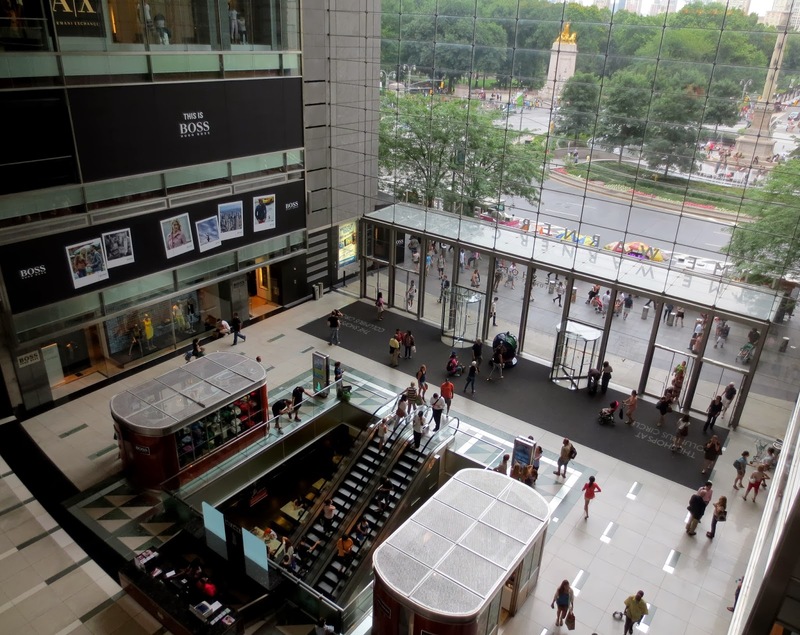 Now Times Warner center is the place where people dine, shop, live, work and are entertained. There are CNN studios, from one of them Anderson Cooper 360° is broadcast live. Jazz at Lincoln Center is housed inside the Time Warner Center on the 5th floor. It is breathtaking venue to watch some Jazz against the backdrop of the city. 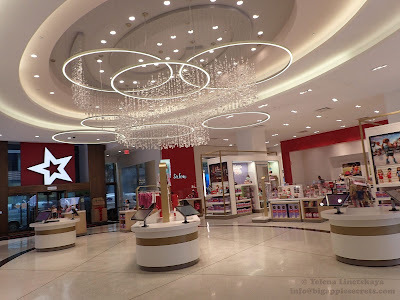 There are more than 40 specialty shops and a 60,000-square-foot Whole Foods Market. There are nine restaurants and 40,000-square-foot Equinox Fitness Club. 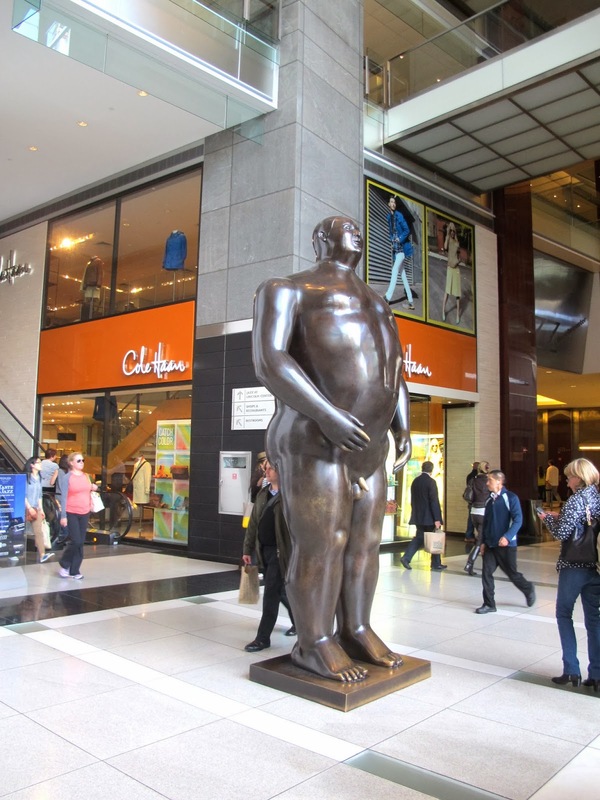 Two bubble-figured 12-foot-tall Adam and Eve by the Colombian artist Fernando Botero greet visitors and provides perhaps the most memorable Manhattan meeting spot. 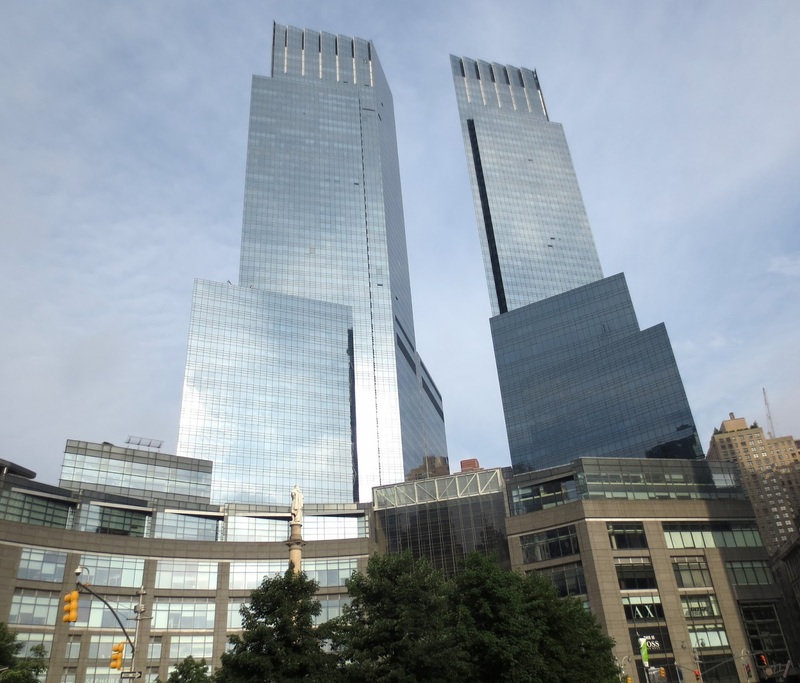 On January 16 2014 Time Warner announced that 1.1 million square feet of office space i Time Warner Center were sold for $1.3 billion to a venture of Related Companies, an entity owned by the Abu Dhabi Investment Authority. 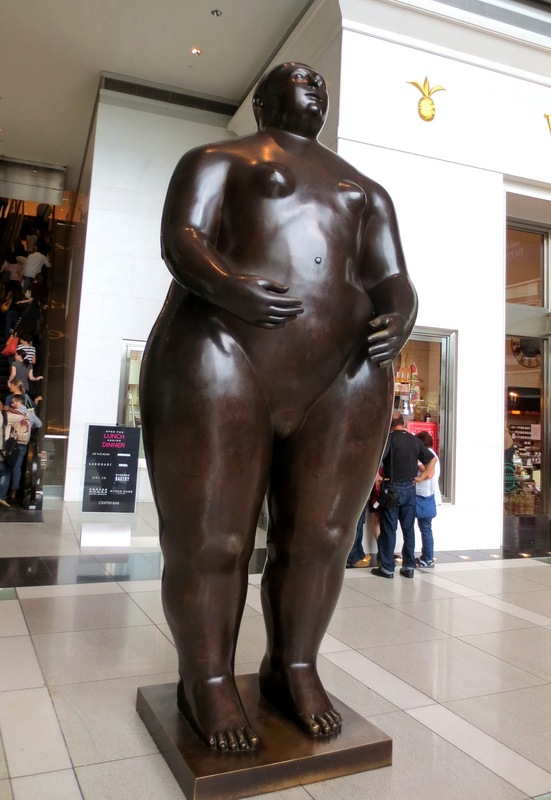 And at the very end I'd like to tell y about one very useful secret of the Time Warner Center: there is a free bathroom on the second floor!